It has finally been done! 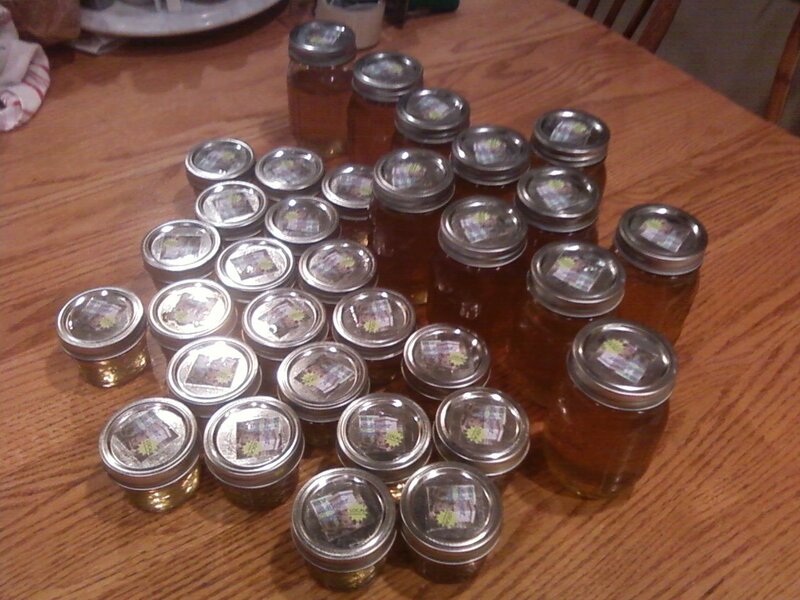 We got our first harvest of ~30LBS of honey extracted and bottled! It was a very fascinating process and I hope we get a second harvest this year and get to do it all over again. So, after removing the frames of honey from the hive a couple of weeks ago, we had to actually get the honey out of the frames and into the bottles. How does one go about that you may ask? With a centrifuge of course! Since we were not expecting honey this first year, my mother and I did not even contemplate purchasing a centrifuge for spinning honey. It doesn’t help that they are quite expensive. 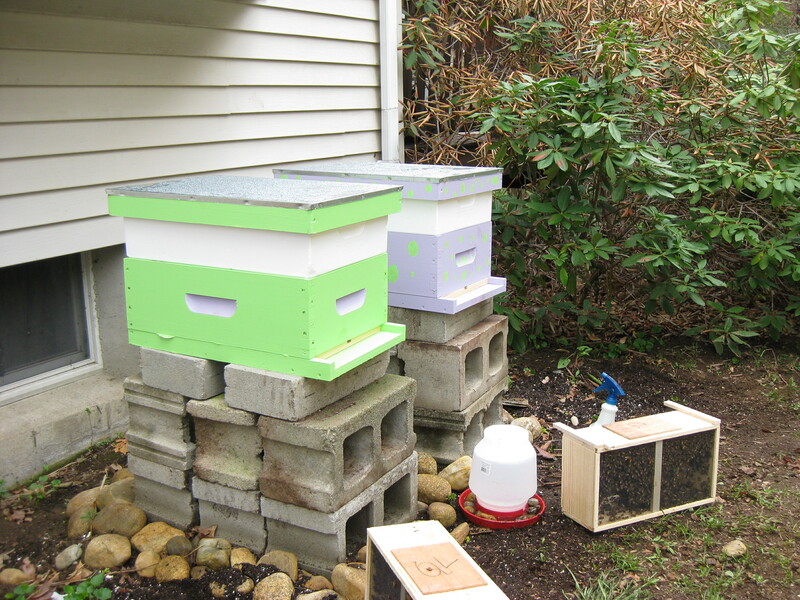 Thankfully our ever-handy beekeeping instructor lives nearby and offered us the use of his extractor. So, each frame of honey contains honey within the hexagonal-shaped honey comb. 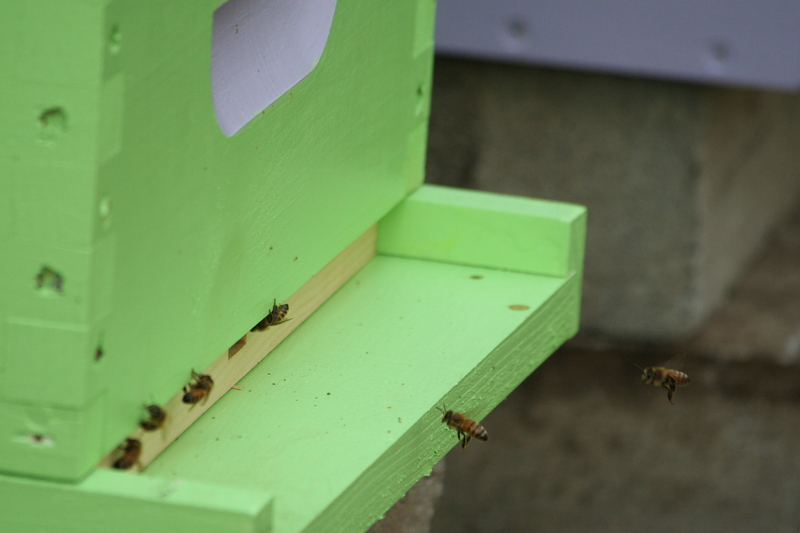 The bees cap every chamber with wax. In order to spin the honey out, the wax capping must be cut off or scratched so that the seal is broken. We simply took a brush and broke the wax cappings. Then we loaded the dripping frames into the centrifuge and began to spin. Since the extractor is a centrifuge and very dependant on the balance of weight (the frames were all different weights), the whole extractor had to be held down by the three of us (my mother, our instructor, and I), and even then the whole thing was walking across the table as we spun it. 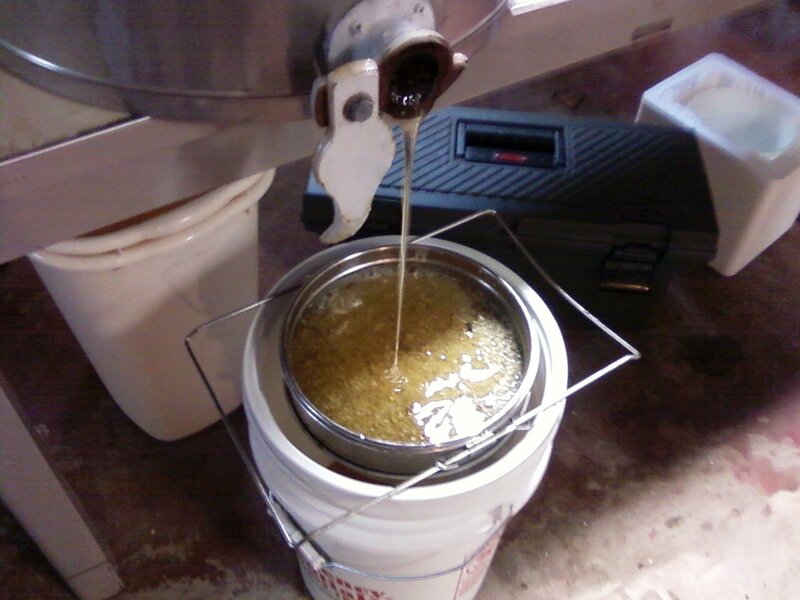 After the spinning is done, the honey slowly drips down the inside walls of the centrifuge and pours out the bottom nozzle through a double strainer. The double strainer removes any big pieces of wax and dirt, but the pollen and tiny bits of wax are still in the honey. This is what makes the honey ‘raw’. 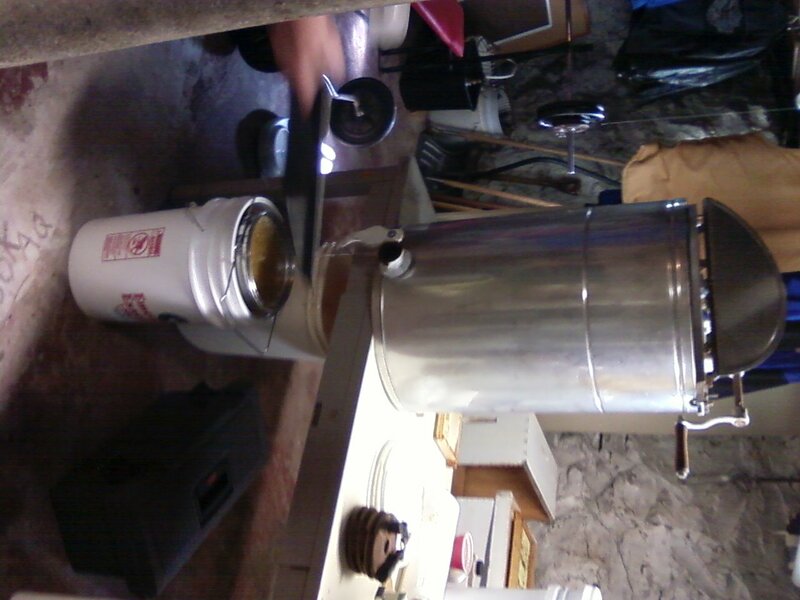 We let the honey drip out over night, and then we had to let it settle in the bucket for a couple of days before we could bottle it (I relate the waiting period to being like the 2 days before Christmas–It was very hard to wait!!). But finally, finally, we were able to bottle it. My mother and I thought it would be a rather messy and time-consuming process, but it really wasn’t. There wasn’t the huge sticky mess I envisioned. In all, we had two gallons of honey! 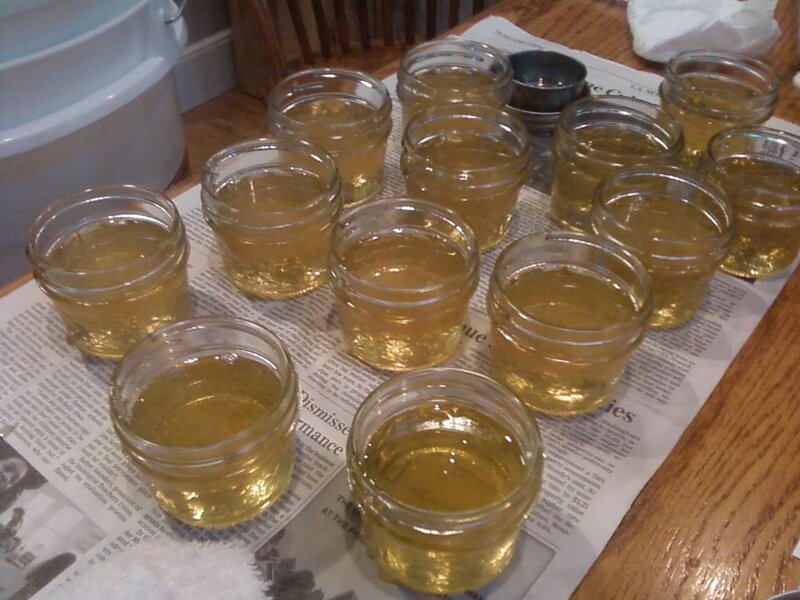 First, we filled up 4oz jars. We had 24 of those, and filled them up in no time. So, we moved on to the only other jars we had-16oz jars. To our amazement, we were still filling them after the first pack of six, and we were in awe when we finished with 11 filled 16oz jars and 24-4oz jars. I brought some in to work, since my co workers have been hearing about these hives for months and were eager to try the honey. The honey is a Spring honey-meaning it is light-colored and light textured. I would say light flavor, but it isn’t. It is intensely sweet and many have described it as citrus-y…I joked about the citrus tree farm we have next door to us, but really, we live around Boston so there are definitely no citrus trees. I’m not sure what the taste is, but it is fantastic.